After a couple of weeks when the dawn has been too wet or windy for recording, I finally made it up to Haldon Forest for the August recording of my year-long project. Unfortunately the wind was carrying the sound of the A38 main road across the forest to where I was recording, and even after filtering there is still some traffic noise audible. For this reason I’ve made this month’s track a condensed version with only the most interesting bits of action. After remaining quiet all summer, the Fallow Deer are becoming more vocal as they approach the rutting season. A group of seven deer crossed the road only metres from the car as I was recording, including the first antlered stag I’ve seen this year. Also heard in this recording are a couple of summer migrants, now close to the end of their stay but still making their voices heard. 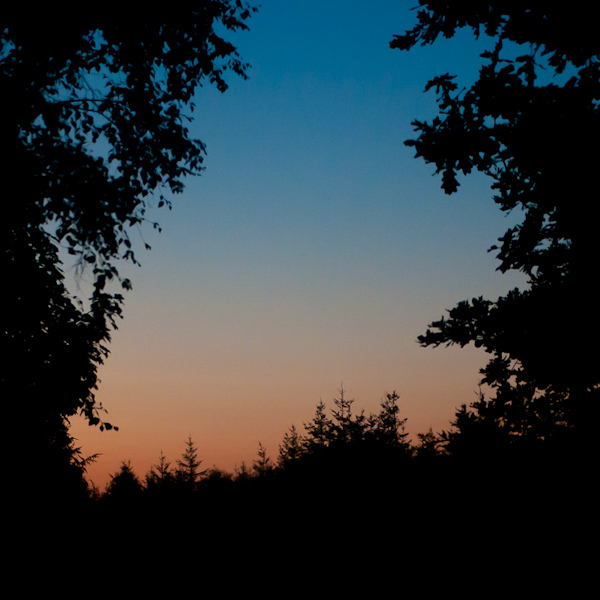 First of all a Nightjar, which actually swooped overhead, silhouetted against the dawn sky, before it called. Towards the end of the recording a Chiffchaff also breaks into song. 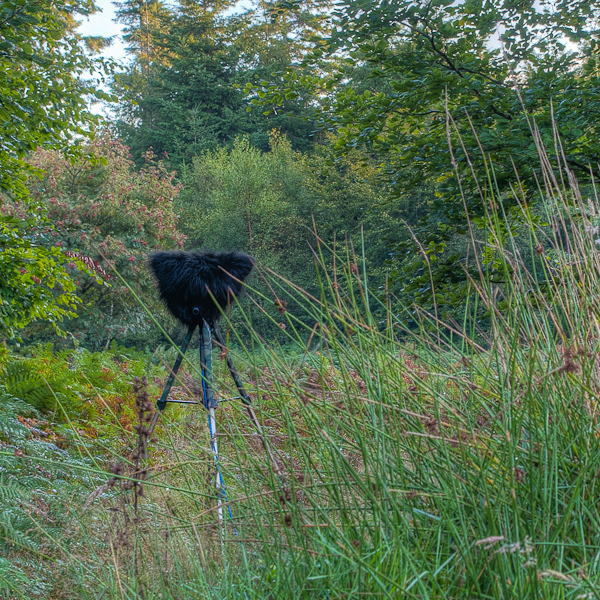 This recording was the first field test of a new type of stereo array for my AT4022 microphones. Drawing on the design of Crown’s “SASS” microphones and also the research of several members of the NatureRecordists Yahoo group, this features two angled wooden boundary plates with an acoustic� foam baffle between them. My initial feeling is that it significantly improves the width and localisation of the stereo field – comments and opinions are very welcome! 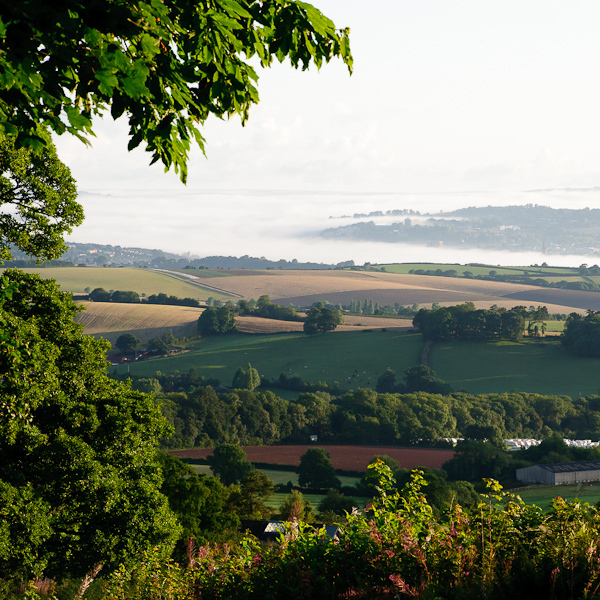 Even when things don’t go quite to plan with the recording it’s still wonderful to be out in the forest so early in the morning – driving back I caught a glimpse of fog around Exeter, so I made a detour to a point where I could look down onto the city rising out of the morning mist.